The Logitech Loud Enough Noise Isolating Earphones is being touted as a product that is very kid friendly. The earphones lower the maximum volume so that parents no longer need to bug their kids to turn down the volume. Children should be able to hear through the earphones at a lower volume because of the snug fitting ear cushions that allow for a better and more comfortable fit in the ears. Each cushion is designed for a child’s ear. The great thing about these earphones is that they automatically adjust to a level that is reasonable. This can reduce the chance that the child will suffer from hearing problems later on. Music that is too loud can cause temporary or permanent hearing loss. In some cases a person can suffer from ringing in the ears. Wearing earphones that are the right volume level is important. If the cushions are not perfect there are other ear cushion sizes to ensure a comfortable fit. Although the earphones are small and lightweight they should be able to stand a lot of wear and tear. 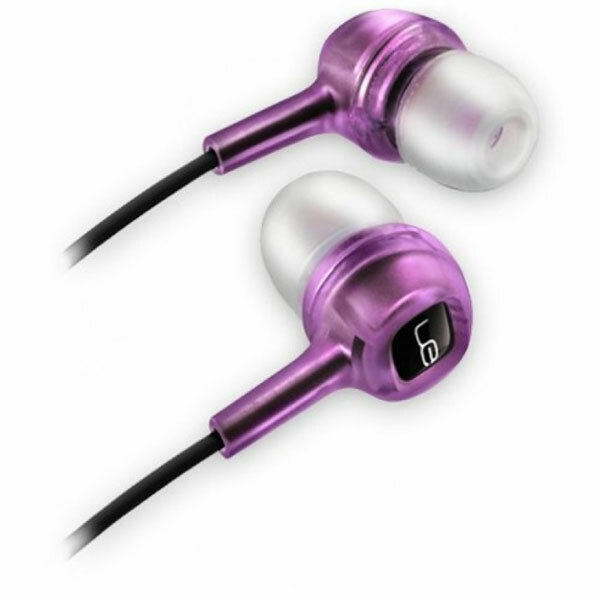 The earphones are very durable and should last. The manufacturer grants a two year warranty to insure the earphones will last. They’re also very fun looking and come in three different colors – purple, blue, and green. The earphones should also be compatible with whatever the children are listening to. The earphones will work with any standard 3.5 mm jack.